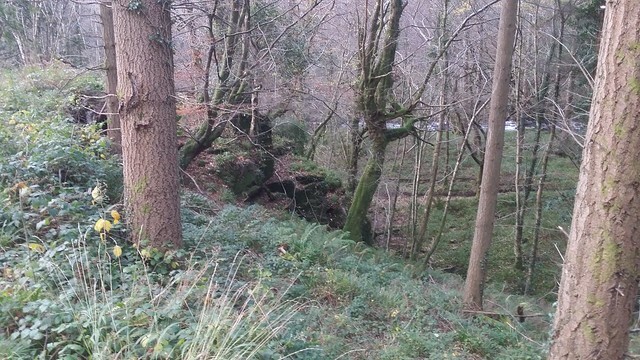 Buckland Woods sit to the west, below Buckland in the Moor, its boundary running from the eastern bank of the Double Dart, near Lover's Leap, curving to Buckland Bridge, before running up the Webburn north to Lizwell Meet. 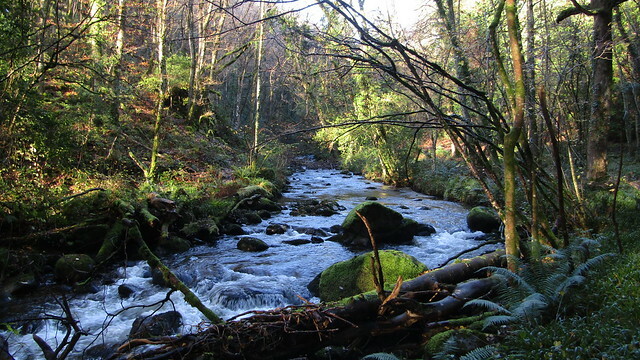 There is then a spur along the northern bank of the West Webburn to the edge of Cleave Wood near Ponsworthy, and also either side of the East Webburn to Cockingford Bridge. 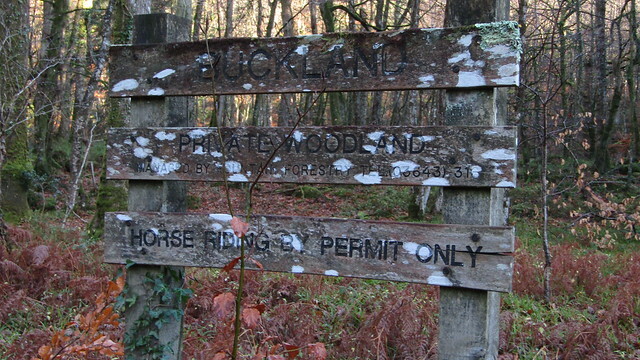 Buckland Woods is actually a collection of numerous private woodlands, all managed by Fountain Forestry, and to enter them a permit can be obtained. Our exploration (Tim Jenkinson and myself) was conducted over a number of weekends, visiting the principle woodland areas; Great Lot Wood, North Wood, Pudsham Wood, Oakmoor Wood, Lizwell Wood, Town Wood, Hardridge Wood, Greypark Wood and Coombe Wood. 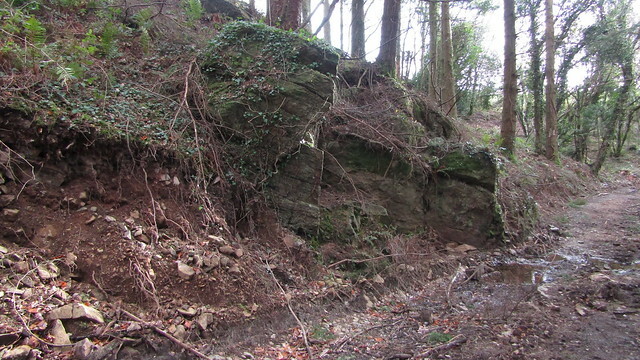 We counted fifteen outcrops worthy of mention, too numerous for one blog post, so for the purposes of doing them justice, I have split the posts into three parts. First up, the section between Buckland Bridge and Lizwell Meet; Great Lot Wood, North Wood and Oakmoor Wood. Entering from Buckland Bridge and passing through a curiously named section of land called Mistresses Piece, you enter Great Lot Wood. There are obvious mid level and higher tracks, two good trails that run the length of the woods, but we started by taking a lesser defined lower path along the eastern bank of the Webburn. Our first find was at grid reference SX 7178 7240. 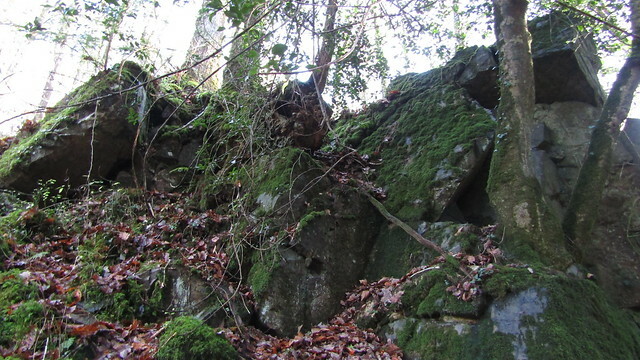 It is shrouded in vegetation, and sees little sunlight, so for this reason, we called it Shady Rock. 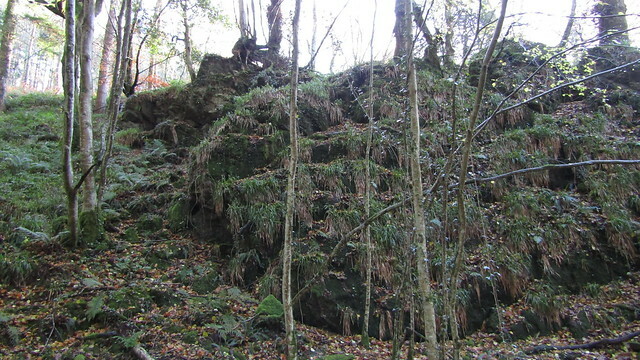 This metamorphic pile is nestled between the lower and mid level track, the better view of it being from below. Continuing further north on the lower path, we reached the first of some dramatic metamorphic outcrops, that we collectively called Great Lot Crags, but split as "South", "Middle", and "North". 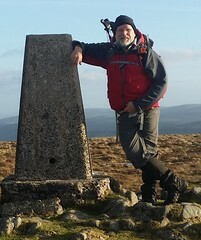 The south pile is a finely balanced tower, set away from the river, at grid reference SX 7161 7264. 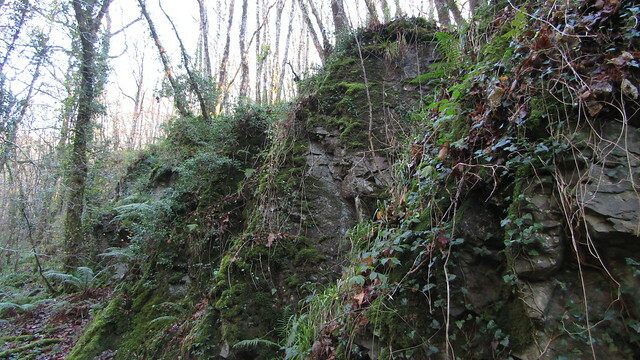 After this outcrop, the route along the river path becomes blocked by a cliff and it is necessary to climb away from the Webburn briefly. 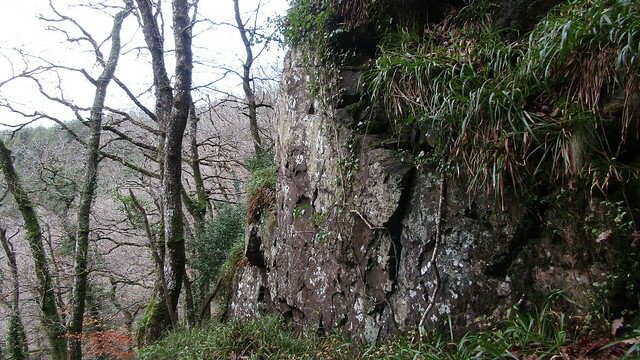 As you negotiate a route over the cliff, attention is drawn to more crags on the hill, with the second set appearing directly above. 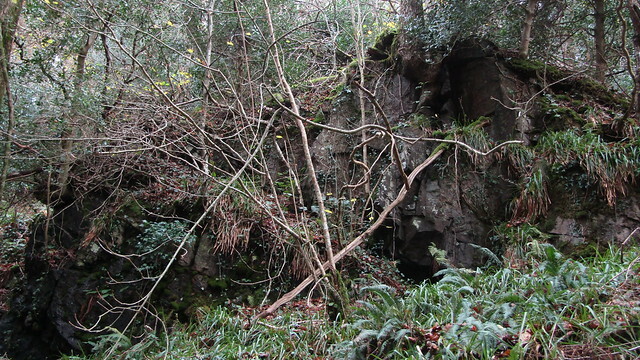 Vegetation fails to hide Great Lot Crags Middle, at grid reference SX 7163 7273. 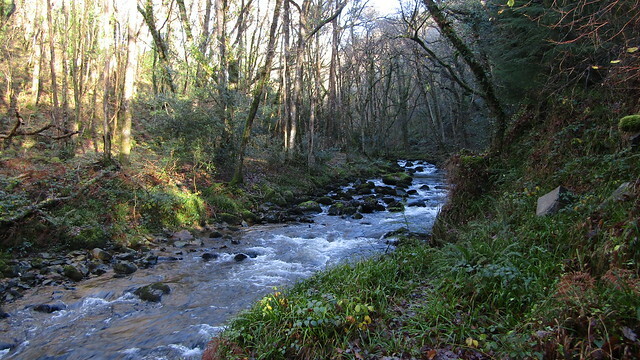 Once visited, we dropped back down to the river, but there wasn't any sign of the lower path now. Old maps show a footbridge crossing the Webburn here, but there is no trace of it today. Instead, you must head up the valley side. 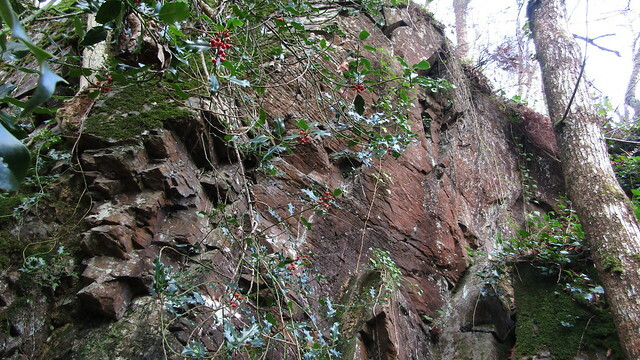 The best of the crags is left until last as you ascend from the river, treading carefully across the unstable undergrowth. At SX 7166 7283, Great Lot Crags North is quite a bulk. Looking up from the river, you see the exposed rock high up in the trees. Once at the wall, that climbs up the valley side, you notice another section close by to the left. Their sheer walls are relatively free of growth and tower above you when you stand at their feet. 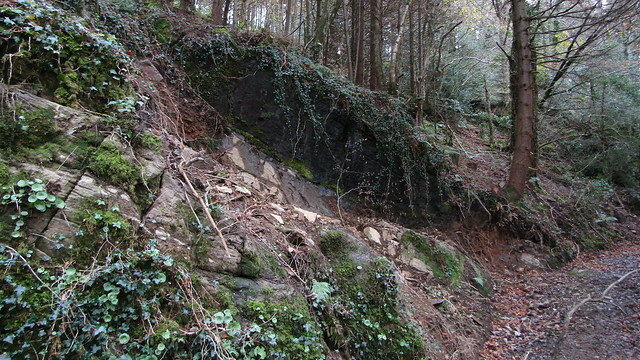 From these last outcrops, it is a short, but steep ascent out to the middle track, which takes you out of Great Lot Wood. We took the middle track, as the ground either side within North Wood is not good walking. Looking down the hillside, we could see the summit of the eastern tower of the magnificent Webburn Gap at grid reference SX 7176 7316. Reaching it is perilous and, given the best of the gap is better experienced from the opposite bank at the bottom, it is not really worth the effort. We were glad to return to the track. Further north, you begin to see plenty of outcrops up the hill, to the right. 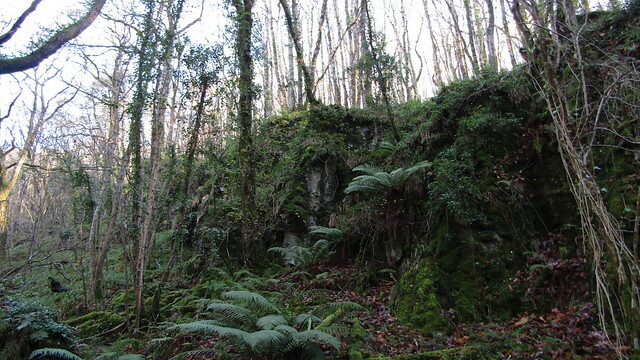 Two excursions to this section revealed that North Wood Tor stretches from the top of the hill and spans the slopes across both the high and mid-level tracks. We have given it the grid reference of SX 7188 7322 but it is far more substantial. 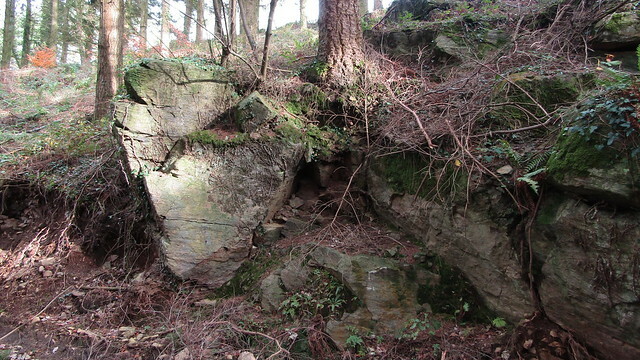 Like much of the area, it is metamorphic bedrock. The bottom of North Wood Tor appears to have been worked to build the drive, or mid-level track. Our next encounter with the tor was on our traverse of the high track. Like the way below, there was a suggestion of man made interference when building the track. It is when you step off the tracks that the middle outcrops are appreciated. They are not high, but large enough to be of interest. Care should be taken on these slopes, but they aren't as perilous as the levels below. 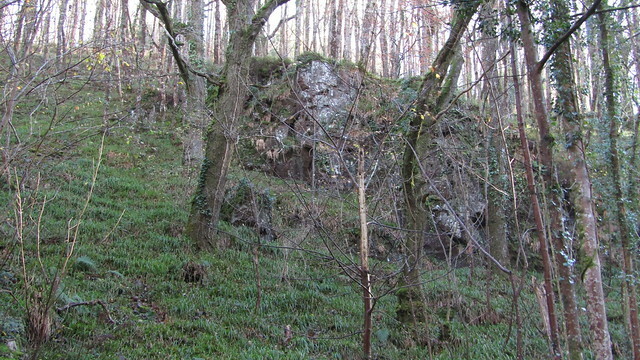 Oakmoor Wood Rocks is significant because it sits on the edge of a change in rock formation. 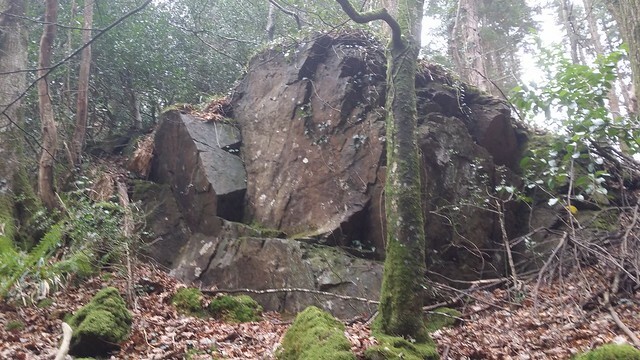 It may be a scruffy pile on the border of the woods, at grid reference SX 7154 7378, that tumbles untidily to the track below, but the first thing you notice is that it is Granite. There is a small stream trickling down the middle of the pile, not proficient enough to impress but still an obstacle when clambering over the rocks. 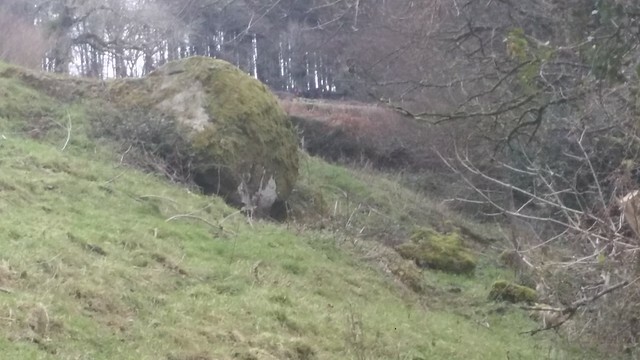 Higher still, on the edge of a private field to the east, a pleasant rounded stone gathers moss, testament that it had not rolled for many a year. 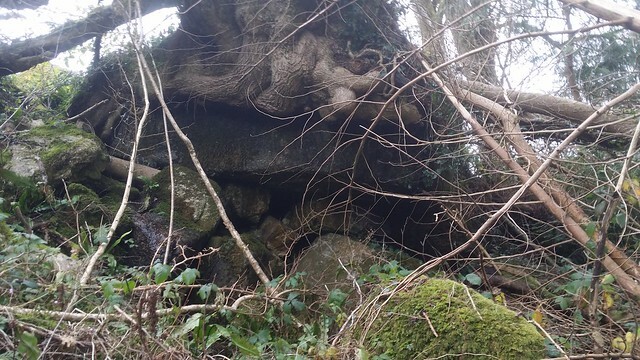 Another feature of note is a tree, perched upon the highest outcrop within the woods, who's trunk appears to have outgrown its granite seat and spilled over its sides. It is difficult to see how it still survives. So there is part one, some interesting outcrops, of varying rock type. In part two, we delve further, exploring the section from East and West Webburn from Lizwell Meet.